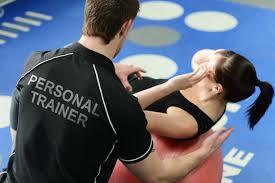 Several people prefer hiring a personal trainer to help them maintain their overall fitness and health. A fitness trainer is suitably qualified to help you lose weight, tone your body and even give you diet tips. In today’s hectic world, working professionals and stay at home mothers find it difficult to take the time to exercise. Furthermore, while many people may end up trying to follow strict diet regimes to maintain their weight, without the right exercise, they won’t achieve toned bodies. Once you set up your own exercise routine with the help of a personal trainer and realize that your trainer can be of help to friends, keep a few things in mind before you set them up for a workout schedule! While some many people have no problem sharing their workout and exercise or diet tips, many people tend to stay secretive about these things. You may be eager to share a few details about exercises that help you or diets that work for you, but you should also set boundaries. Don’t reveal everything – that works for your own benefit! Chances are, your trainer will train your friend more or less in the same way he trains you. Yet, depending on your friend’s body structure, diet and lifestyle, it won’t mirror the same things he teaches you. So, think about how much you want to reveal to your friend and how much you don’t before recommending that your friend train under your trainer too! You probably already have an exercise schedule in place and if you are thinking of asking your friend to train under the same trainer as you, stick to your schedule. Ensure that your friend knows that you have no intention of changing your work out time or schedule. You definitely don’t want to be part of petty arguments in the future over this. Ensure you speak to a personal trainer too so as to avoid problems later. Training under the same trainer at different times is not a bad idea if you have a decent relationship with your friend. However, ensure that you don’t start comparing notes every time you meet. Avoid talking about what the trainer said or what exercises he told you to perform or how much time he spent teaching you something new. Your friend’s workout schedule and yours are two different things. Keep it as distant as possible. It’s when you compare notes that you’ll start finding faults that may not be there in the first place. If your friend says that your fitness trainer spends more than the slotted one hour to train her, you may get rattled. Avoid finding these faults unnecessarily because it will ruin your peace of mind. Believe in your trainer and remember that fitness trainers have more to lose by showing preferential behaviour towards one customer and not the other. For more tips, visit www.bondipersonaltrainer.net.au/. This entry was posted in Personal Trainer by Regina Allen. Bookmark the permalink.